Having a good smoke detector is important for everyone, not just COPD patients. We recommend a smoke detector that has a little bit of everything, we look for detectors that detect smoke, carbon monoxide and radon. Following the manufacturer instructions, replace the batteries and replace the detector as recommended. Test the detector at least once a year to make sure that it is still working properly. 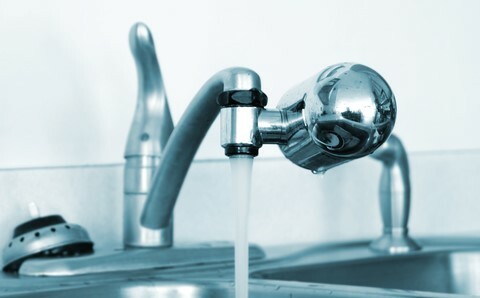 If you own your own home we always recommend installing a high quality water filter to help remove dangerous amounts of fluoride, disinfection byproducts (DBPs), aluminum and arsenic. All four of these are known to cause harm to the human body if enough is ingested. If you do not own your own home, we always recommend a faucet mount water filter. All filters should be changed every 3-6 months depending on how often it is used and what the manufacturer recommends. Spending a little bit of money is a good choice when buying a vacuum. Finding a lightweight vacuum can help make cleaning easier, and can help keep the air and carpets clean and minimize dust. Finding a vacuum with a replaceable bag is a good choice for those with COPD, as dumping the dust from a bag-less vacuum can irritate the lungs. 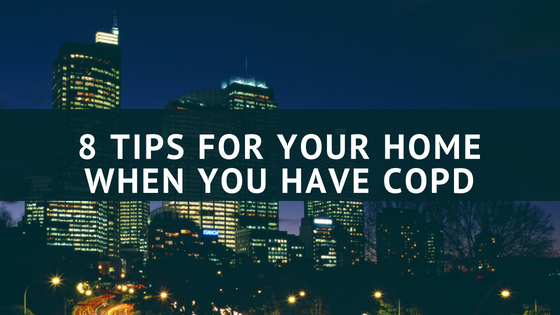 Like water filters, air filters allow you to install into the home, or get a small unit that can be a standing unit in the home or apartment. There are a handful of purifiers that can have different benefits for you, some are good for pet dander and allergens, others have a component that allows you to clean the filter versus getting a new filter altogether. We recommend getting your HVAC system regularly checked and cleaned, as it can circulate dust ridden air that can trigger a flare-up. If you have animals, or your allergies can get bad, try to change your air filter once a month. The Environmental Protection Agency (EPA) has a label used for all Safer Choice products that they find to meet their Safer Product Standards (use SaferChoice to find a list of products). Always check labels on cleaning products you are looking to purchase as you may find the product missing the Safer Choice label or you may see it has the label. 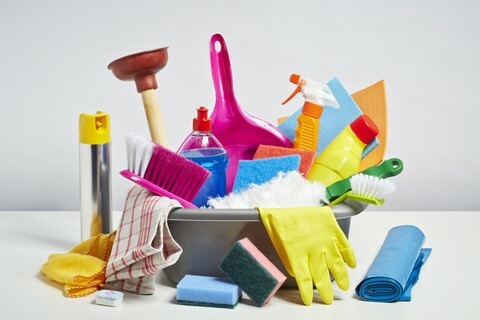 Making your own cleaner can be easier and cheaper, as most of the products used, you may already have in your home. We use vinegar and baking soda, or dish soap and vinegar. Both mixed together in equal parts is a mild smelling, more natural cleaner for your home. Scentless dish soap can make it easier on you to clean. A huge way to help with COPD flare ups to quit smoking. If you live with family who smokes, we always suggest family members to smoke outside, as it can help prevent flare-ups. If you have recently made the switch to stop smoking, and there is still a smoke smell and smoke residue left in the home, try to clean the walls, floors and fixtures. If needed, contact you local cleaning company to see if they can come in and clean down all surfaces for you. Open windows during the cleaning process to keep the flow of fresh air into the home. Dust and other allergens can make living with COPD harder. Washing drapes on a regular basis can help prevent poor air quality, if you don’t care much for the appearance, blinds could be a better and healthier option. It is also important to keep allergens out of your bedroom, so we recommend keeping pets out of the bedroom, and wash bedding and drapes in hot water once a week. Mattresses and pillows should be put in dust mite-proof zippered cases. Though this is not easy for everyone to afford, hardwood floors, laminate or tiles are all great options for those with COPD. Carpet and rugs collect dust and other allergens, so flooring other than carpet can help prevent those allergens from hanging around. If replacing your floors is out of the picture, regular maintenance of your carpets and rugs are necessary. Sprinkling baking soda into the carpet, letting it sit for about 10 minutes and then vacuuming can help remove odor and dust. Doing this once a week can be beneficial to your health. NASA found that indoor plants can clear the air of cancer-causing formaldehyde and benzene. Other research found that soil microorganisms in potted plants also play a part in cleaning the air inside. 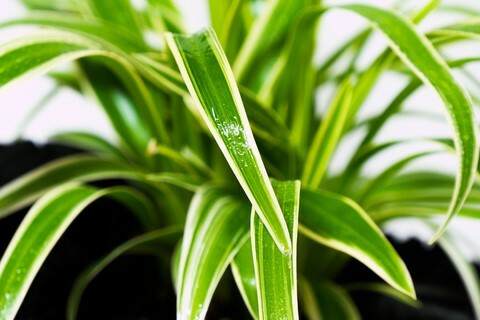 We recommend a spider plant as it is easy to grow and removes formaldehyde and xylene from the air. Spider plants need a lot of light, but it needs to be indirect sunlight.